Happy February!! Today is the third day of sneek peeks of the TE release of February 2015! This release is full of springy, sunshiney, easter packed lovelly sneak peeks with all the fun new stamps, dies, paper packs and matched kits from Taylored Expressions which will be available for your crafting pleasure on Thursday morning - Feb 5th at 7amPST!! 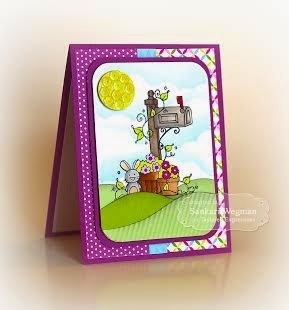 Today, I a card using the newest Wishes on A Wire stamp set: Wishes on A Wire - Easter. 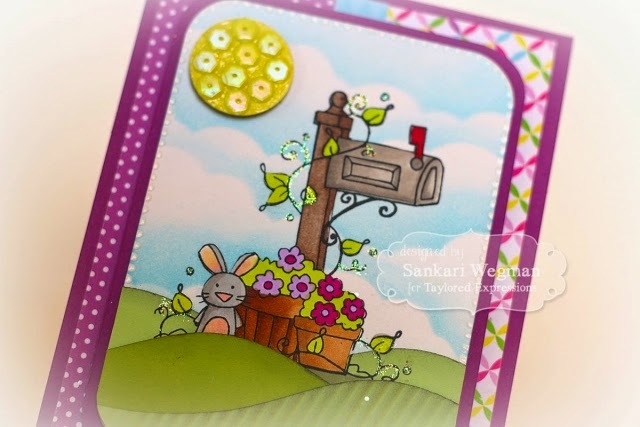 I love this sweet stamp set with the little bunnies around the bird cages - so so sweet! I created a little scene for the bunnies by creating some clouds and some hills. I loved creating these cards and using all this beautiful crafting goodness from TE and can't wait to see all the wonderful creations created by this amazing team!! 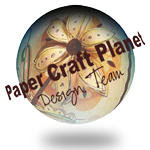 Thanks for visiting crafty friends! if you would like to see more projects and new product information, please head over to the TE blog for a complete blog roll of our participating designers! Taylored Expressions is celebrating Release Week with some fabulous giveaways! Visit the TE Blog each sneak peek day this week for more details on how you can enter to win! 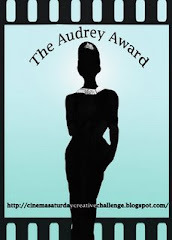 Thanks so much for stopping by my blog today!!! 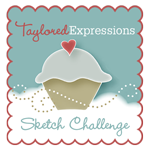 Please hop over tomorrow for more Taylored Expressions sneak peeks!! Sweet card Sankari. Love the darling images, the coloring... the clouds look fantastic. 7 Days of Love; Day 7 - Happy Valentine's Day!! 7 Days of Love: Day 6 - Love! 7 Days of Love - Day 4: Missing You! 7 Days of Love - Day 3: Rawr Means I love YOU! 7 Days of Love - Day 2: Peace, Love and Cupcakes! 7 Days of Love - Day 1: Try Again Cupid!! !